Are Mobile Payment Apps Safer Than Carrying Your Wallet? Now your smartphone can do everything including paying without your wallet, it is easy and actually safer than using your wallet. People often think that hackers will be able to hack your phone for your credit card information but this isn’t as easy. Companies are spending millions of dollars protecting your personal information from being stolen and now is the safest time to be using an electronic wallet. Can using your smartphone really be safer than using your actual wallet? Here are a couple of things that you need to know and how these companies protect your information from the outside world. Experian1 reported that around $721 billion was processed in digital payments in the year of 2017 and this is increasing every year. There are more millennials using these devices and is driving up the number but there are still a good amount of people that are still using physical credit cards. Experian reported that 55% of individuals are still using regular credit cards and think that the digital way is not as safe. According to the American Bankers Association2, 25%of individual use digital payment apps but only 12% of them really trust the applications they are using. The funny thing is that paying electronically is the safer route than using a physical credit card. If you are someone that believes that using physical cards is safer, you are about to be surprised. If everyone switches to using electronic payments everything will run a lot smoother. Smartphone companies have integrated software that will allow you to use your smart wallet anywhere. 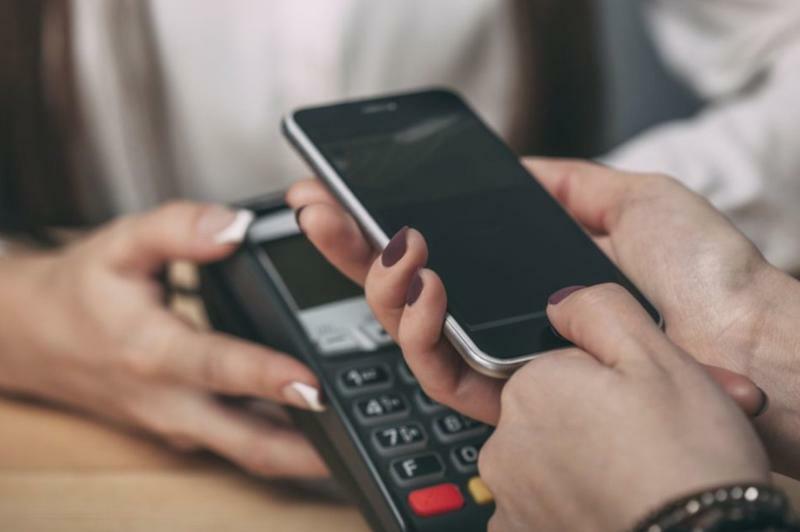 The most trusted apps out right now are Apple Pay, Android Pay and Samsung Pay, with these companies you ca rely on them when it comes to securing your banking information. If you are looking just to pay off a bill digitally companies like PayPal and Chase are very trusted as well. Once you sign up for one of these apps you will be able to pay anything online and with most stores that have a smart wallet reader. This makes it very easy for you as you will only need to bring your phone with you wherever you go. Even though you can store you banking information on these apps, they offer you benefits that you wouldn’t think. You can store coupons, points, concert tickets and even plane tickets. This makes it easy and you will not be able to lose anything since there is nothing physical. From here your information will be sent to the company you are purchasing from, then to your bank to confirm you information. If everything matches up you will be charged and you will receive an email the second the transaction is performed. It is a very easy processes that is protected by your bank, the application and the company you are making the purchase from. There person that is ringing you up will not be able to see your credit card number or any of information making this safer. If you are still not convinced that a smartphone is the safer choice when it comes to making a transaction, here are a couple of things that you might want to hear. There is technology out there that is improving everyday making it harder for hackers to get any information. Sandboxing architecture is a shield that helps hackers get into systems and mobile apps are the main thing that they protect. When your data is transferred it comes through near field communication (NFC) which encrypts all the information that is going through it, so if a hacker does get a hold of the information it will be unreadable and useless. Another way that companies help encrypt your information is through tokenization which scrambles your credit card numbers when it is being sent and never uses your original number. Even though you could lose your phone the same way you could lose a wallet, you are able to shut down everything and wipe all the data off of your smartphone. Every time that you carry your physical credit card you are putting yourself at risk and the time to switch to digital is now. It is time to look towards the future and start using everything digitally. It is better to have your information encrypted so that no one will be able to use it. It might feel weird to not carry around credit cards but by having them at home you avoid the chance of anything being stolen. And why wouldn’t you only just want to carry your smartphone, it makes it easier for you and the people you are dealing with. There are many benefits that you gain from using a smart wallet and the time for you to sign up for one of these apps is now. You don’t want to have your credit card information stolen because you were behind the times and didn’t sign up for a smart wallet. Make the consideration today and start searching for the app that you want to use.